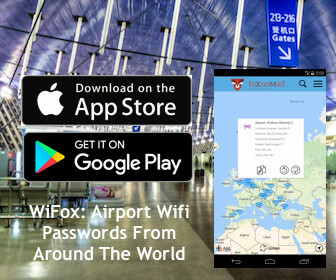 You may have seen recently a lot of seemingly spectacular deals from Wow Air, a low-cost airline based in Reykjavik, Iceland, that offers transatlantic flight deals for less than $99. Those deals seem worth it (answering the question above) of course, if they are what they seem upfront. 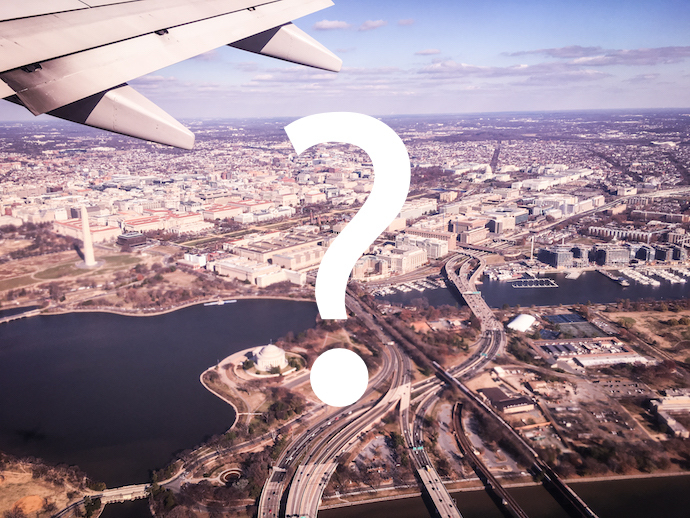 I spent some time booking flights using Wow Air and found while it might be an inexpensive way to cross the Atlantic, it may not always be the best way. A lot of low cost carriers advertise big deals on flights, pricing them so low it feels more like you could be booking a bus ticket. Often, those low fares are only for select seats offered on a first-come-first-serve basis or come with high fees, meaning most of the people booking that flight won’t be getting the lowest advertised price. 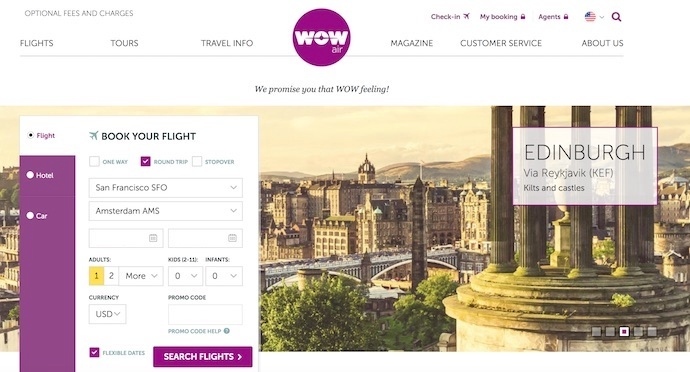 The advertised deals get you to the booking process, and in the case of Wow Air, the fees for most people bring the airfare up to less attractive numbers. Let’s get this out of the way upfront: Wow Air’s wonderful $99 prices (they’re sometimes as low as $69) from the United States to Europe are only for one-way journeys. Return flights are typically 2-3 times the one-way fare, around $219 back to America. And don’t forget about the taxes, around $100 usually. Although paying around $400 for a round-trip ticket to Amsterdam from San Francisco isn’t bad at all, there are some other fees you’ll need to accept or avoid to keep prices as low as possible. You quickly come across some of the more avoidable fees during the plane ticket booking process, starting with seat assignments. Paying for a reserved seat isn’t necessary, especially if you’re traveling alone or in a small group, plus have the patience to get queued up in line early. Otherwise it will cost you about $8 for each seat reservation. Food or drinks aren’t served, so unless a long haul flight is when you want to experiment with intermittent fasting, bring your own or pay about $12 for an airplane meal. Also, there’s no entertainment center, something you shouldn’t miss too much if you’ve got a travel good book or download a few movies ahead of time. A few of the less avoidable fees are for checked bags. A checked bag carries a $70 fee per leg, meaning even on a one-way trip, if you’ve got a layover in Reykjavik (Wow Air’s hub), you’ll be paying the baggage fee twice. One carry-on bag under a reasonable size and a ‘personal item’ is free. Wow Air doesn’t hide its fees but unless you’re traveling especially light or making use of a multi-city flight, your final price might be closer to an Icelandair ticket which offers stopovers, meals, and included baggage. Those of you accumulating frequent flyer miles too might decide Wow Air’s not worth what ends up being a small discount on airfare. Still, many travelers rate Wow Air as a decent airline that doesn’t feel cheap, but be sure to calculate all the fees because the reality is, it may not be that cheap after all. Very true. I find that especially with the baggage fees on low cost airlines that the price can quickly add up, if not double.